Few things can get staff more stirred up than realizing a patient known for drug-seeking behavior is coming into the office. Establishing and closely following office procedures can help staff prepare for this difficult clinical scenario. Each clinical and administrative staff member should have essential knowledge of chronic pain, medication safety and office policies. From front office to back, everyone should know what to do for patients with chronic pain, when to do it, and why it is important to follow the guidelines and policies of the practice. Create appropriate office policies. An office policy for chronic pain management should describe the steps to be taken when patients are seen for chronic pain (both initial assessments and follow-up visits) and should include who is responsible for completing those steps, including documentation. A standardized process for new patients requesting controlled substances should be included. The policy should delineate a standardized response to several common patient scenarios (such as stolen or lost prescriptions or spilled medication). Additionally, an algorithm of care should identify patients at high risk of prescription drug misuse, overdose events or deaths. All patients experiencing chronic pain should be screened for depression. Create a practice work flow. A set of detailed office steps should be developed that describes specifically what needs to take place when patients with chronic pain check in face-to-face or via phone calls. These steps should address registration (such as how to handle outside referrals or disability forms), data collection (such as pain diagrams, functional assessment and opioid use) and triage (such as adding pain status to vital signs and functional assessments). Urine should be collected for drug testing if the patient is on controlled substances. Adopt a medication review. This step should include checking a list of all current medications and confirming that list by requiring patients to bring in all medication containers. If the patient is on controlled substances, a pill count should be performed and documented in the chart. If possible, pharmacy records should be obtained and reviewed and a notation should be placed in the chart reflecting that the records were reviewed. Ideally, a state Prescription Drug Monitoring Program (one example) should be used during the review process to identify patients at high risk for prescription drug misuse, overdose events or overdose deaths. Perform comprehensive clinical assessments. The clinician should review pain and functional assessments as well as complete an opioid assessment screening. A pain history should be performed along with a supporting targeted physical examination. Staff should assist by obtaining any related medical records to be reviewed, including diagnostic tests and consultant reports/recommendations. Example assessment forms are included in the Medical Home Builder's Resource Library. The clinician should document the specific cause of pain, if known, and assess efficacy and safety of current medication use at every visit. 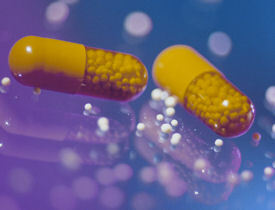 Standardize controlled substance refill requests. A clear algorithm can help standardize the controlled substance prescription request process. Both the front desk staff and clinical staff should be trained to prepare and document refill requests consistently. Doing so helps meet safety and quality standards. The clinician should then review and approve or deny the prescription. Perform adherence monitoring. This involves several key processes for patients on controlled substances. The purpose of adherence monitoring is to help you detect “pseudo-addiction” (patients who are using more medication than you have prescribed because their pain is not adequately controlled) as well as abusers. Your office protocol should include face-to-face visits with reevaluation no less than every 90 days, review of pharmacy data by using a state Prescription Drug Monitoring Program if one is available, pill counts and urine drug tests. Next month's CPS Tips will address how to document opioid management in the practice records. CPS Tips is written by staff of ACP's Center for Practice Support (CPS), a member benefit. Find CPS online.